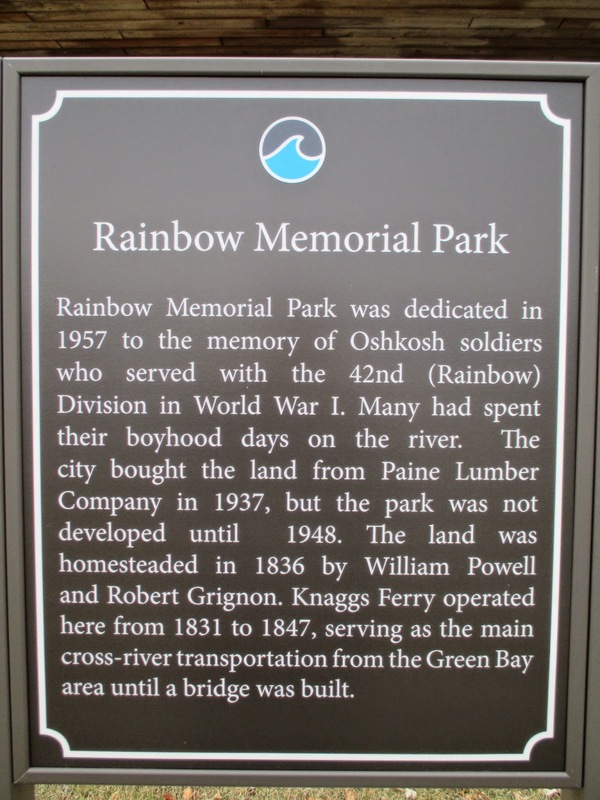 Rainbow Memorial Park was dedicated in 1957 to the memory of Oshkosh soldiers who served with the 42nd (Rainbow) Division in World War 1. Many had spent their boyhood days on the river. The city bought the land from Paine Lumber Company in 1937, but the park was not developed until 1948. The land was homesteaded in 1836 by William Powell and Robert Grignon. Knaggs Ferry operated here from 1831 to 1847, serving as the main cross-river transportation from the Green Bay area until a bridge was built. 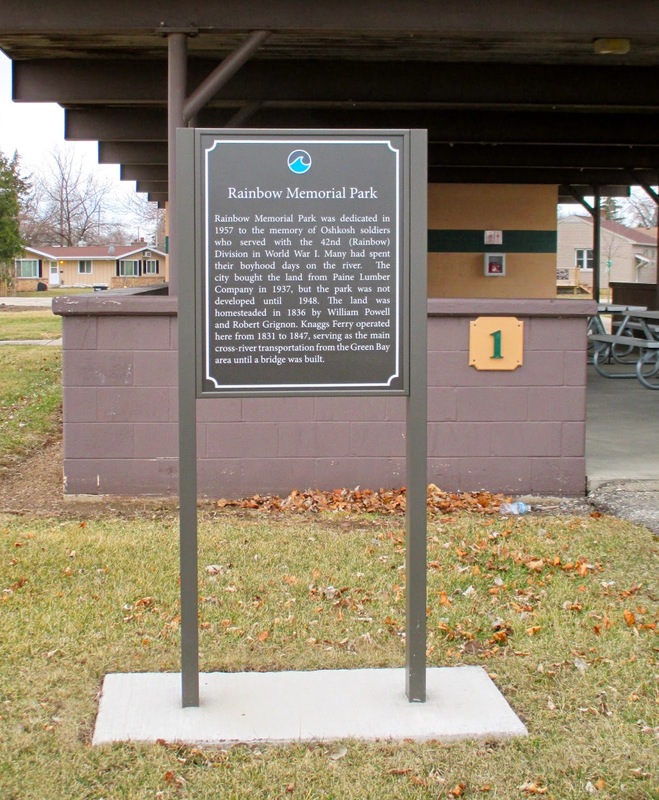 Rainbow Memorial Park is located on the western bank of the Fox River, at the northeast corner of the intersection of Catherine Avenue and Rainbow Drive, Oshkosh, Wisconsin 54902. History and Bibliography of the "Rainbow"
See also, Rainbow Memorial Park, also at this park at a nearby location. 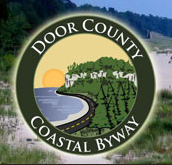 See also, "Trees" / In Memory of Joyce Kilmer, a related marker at a nearby location. View of the Fox River from marker location.